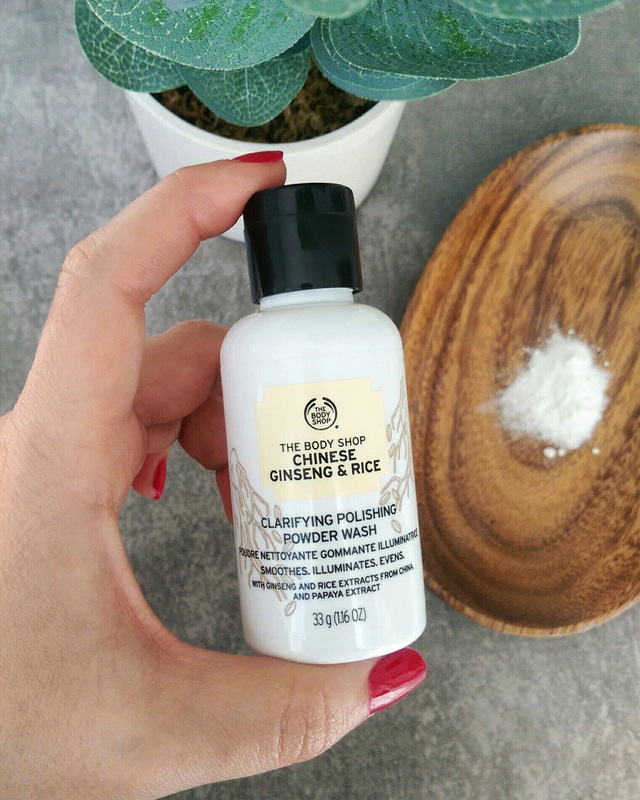 A while ago I attended The Body Shop’s Christmas launch where I was given something I’m super excited about and that’s their Chinese Ginseng & Rice Clarifying polishing powder wash (R85 for 33g). Now, if you’re a big fan of Dermalogica’s Daily Microfoliant (R1 020 for 75g) you’ll know how fabulous it is. It polishes like a boss! The downer, however, is that, at over a grand, it’s not the most wallet-friendly way to scrub up. So, if you’re looking for an alternative to that you can take comfort in the fact that there are other rice-style exfoliators on the market. Sorbet’s Salon Skin Daily Skin Polish Powder (R219,95 for 75g) is one of them and now we’ve got The Body Shop’s variant. All three products are very, very similar and having recently tried The Body Shop’s I can confirm that it’s a very close dupe. Sure, the ingredients are a little different. Microfoliant contains papaya enzymes that, along with the mechanical scrubbies, will also help lift dead skin cells. It also makes use of pore exfoliating salicylic acid, antioxidant green tea, calming colloidal oatmeal and brightening licorice, among other things. The Body Shop’s offering is very similar. Papaya enzymes? Check! Salicylic acid? Check! Antioxidants? Check! (It’s relying on ginseng which isn’t as potent as green tea, but hey!) While it doesn’t contain oatmeal you will find calming allantoin in the mix. There aren’t any ‘brighteners’, however, but the fact that you’re blitzing old, dead skin will help with that in its own. So, in short, The Body Shop have created a very, very nice almost dupe. I say almost because having tried both products I do feel that Dermalogica’s offering is superior in terms of being a bit more ‘scrubby’ but you can allow your budget to dictate as to how important that is to you. Just know that if you’re looking for a truly brilliant cost-effective exfoliator, know that The Body Shop has your back. I’ll most definitely be purchasing this when my little bottle empties out. Aveeno is finally available in South Africa and I’ve got a hamper worth R1000 that you could win! Crazy, TBS seems to be doing more and more Korean skin care vibes. I managed to get the Dermalogica Microfoliant on a black Friday special so pretty stoked about that! How does it compare to Sorbet’s polish powder? Which would you rather purchase? I used Sorbet’s ages ago so didn’t have it on hand to compare but from what I can remember they’re on par. TBS works out a little cheaper per gram but they’re pretty similar. I’d make my buying decision based on what’s on special at the time. Sorbet and TBS often have buy three pay for two specials. I’d let the best value offering at my time of wanting to purchase be my guide. DEFINITELY going to check this one out – at that price, it’s a steal!